BlackBerry and Microsoft have cut the price of their flagship products in a bid to boost sales. Microsoft has cut the price of the 32GB Surface RT by nearly a third. The model was £400 at launch, but has seen its prices reduced to £279. In the US, BlackBerry has dropped the contract price of its Z10 smartphone from $199 (£132) to $49 (£32.50). The Z10 was launched just four months ago. There is no word yet on a UK price cut for the BlackBerry Z10. Both firms have struggled in recent months to break the stranglehold of Apple, Google and Samsung. Microsoft has struggled in the tablet market where Apple still dominates. According to recent figures from Canalys, Apple's iPad and iPad Mini still account for nearly half of all tablets shipped. 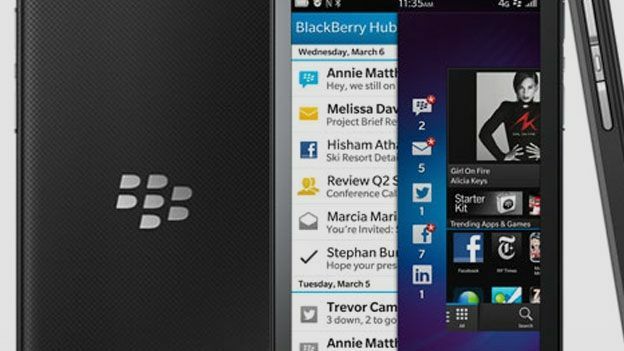 The news is worrying, particularly for BlackBerry which has pinned its recovery on the success of BlackBerry 10-enabled devices like the Z10. In May, IDC figures showed that Windows Phone 8 devices had pushed BlackBerry into fourth position, with just 2.9 per cent of the market. Speaking to the BBC, Tony Cripps, a telecoms analyst at Ovum said that the news was troublesome for both companies. For BlackBerry in particular, it could mean the end of the company as an independent phone maker. “Blackberry really bet the farm on its new BB10 operating system and it needs to regain market share in smartphones,” said Cripps. He added that while Surface isn't as crucial to Microsoft as the success of the Z10 is to BlackBerry, it is still troubling.